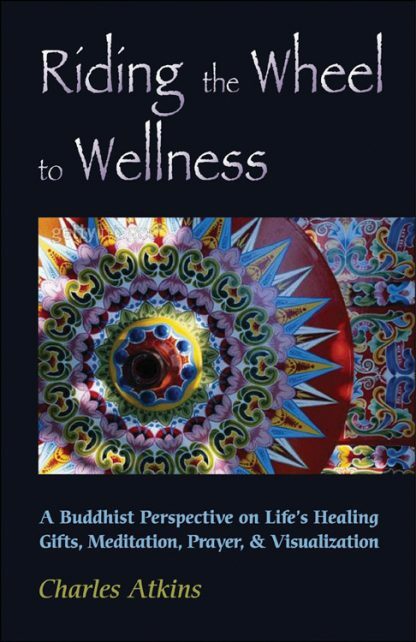 In Riding the Wheel to Wellness, Charles Atkins explains why meditation, prayer, chanting, and visualization are effective and how they can be used to restore wellness on all levels of our lives. Although Atkins's spiritual approach is based on Nichiren Buddhism, his mission is to help alleviate the suffering of all people, so the techniques he describes are interdisciplinary and have been utilized by people from all walks of life. After the publication of Modern Buddhist Healing in 2002, Atkins received many letters from readers regarding their experiences with the technique he describes as "mantra-powered visualization," which combines the chanting of Nam-myoho-renge-kyo with visualization. You don't have to convert to Nichiren Buddhism to use Nam-myoho-renge-kyo. Like the mantra OM, the Lord's Prayer, or the 23rd Psalm, Nam-myoho-renge-kyo has gathered immense vibrational power and positive energy over the centuries it has been evoked by people focusing on the betterment of themselves and humanity. Riding the Wheel to Wellness addresses many questions readers have presented to Atkins along with some of their success stories. It also contains visualizations to help readers target specific illnesses. Most poignant and comforting is Atkins's explanation of the cycle of birth, death, and rebirth-the wheel of samsara-and the spiritual opportunities inherent at each stage of the journey. Our very lives contain the secrets to wellness, and we can learn to evoke our healing power with Atkins's guidance.